Timberlea Services Centre, a College of Physicians and Surgeons of Alberta (CPSA) fully accredited Non-Hospital Surgical Centre, in the heart of Fort McMurray AB, invites applications for a Plastic Surgeon to join our dynamic team. Our facility opened in 2016 and established a Cosmetic Plastic Surgery practice in 2017. Timberlea Services Centre has 2 state-of-the-art Operating Rooms, a 3 bed Recovery Room and 2 Consultation Rooms. The successful candidate will be expected to provide expertise in Cosmetic Plastic Surgery. 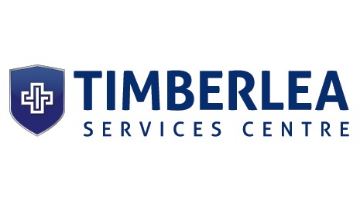 Timberlea Services Centre seeks a candidate with a commitment to exceptional patient care and has advanced knowledge in best-practice techniques. The candidate should have or be eligible for certification from the Royal College of Physicians and Surgeons of Canada. Excellent opportunity to establish a busy, full-service, Cosmetic Plastic Surgery practice. Join our team of Plastic Surgery Coordinators, Anesthesiologists, Nurses, and Administrative staff to provide specialty services in Northern Alberta. Please forward your CV and 2 named references Attn to Ashley Wasnik, Clinic Manager to clinicmanagertsc@gmail.com.